Simulating the possible detector response is a key component of every high-energy physics experiment. The methods used currently for this purpose provide high-fidelity results. However, this precision comes at a price of a high computational cost, which renders those methods infeasible to be used in other applications, e.g. data quality assurance. In this work, we present a proof-of-concept solution for generating the possible responses of detector clusters to particle collisions, using the real-life example of the Time Projection Chamber (TPC) in the ALICE experiment at CERN. We introduce this solution as a first step towards a semi-real-time anomaly detection tool. It’s essential component is a generative model that allows to simulate synthetic data points that bear high similarity to the real data. Leveraging recent advancements in machine learning, we propose to use state-of-the-art generative models, namely Variational Autoencoders (VAE) and Generative Adversarial Networks (GAN), that prove their usefulness and efficiency in the context of computer vision and image processing. The main advantage offered by those methods is a significant speedup in the execution time, reaching up to the factor of \(10^3\) with respect to the GEANT3, a currently used cluster simulation tool. Nevertheless, this computational speedup comes at a price of a lower simulation quality. In this work we show quantitative and qualitative limitations of currently available generative models. We also propose several further steps that will allow to improve the accuracy of the models and lead to the deployment of anomaly detection mechanism based on generative models in a production environment of the TPC detector. The authors acknowledge the support from the Polish National Science Centre grant no. UMO-2016/21/D/ST6/01946. 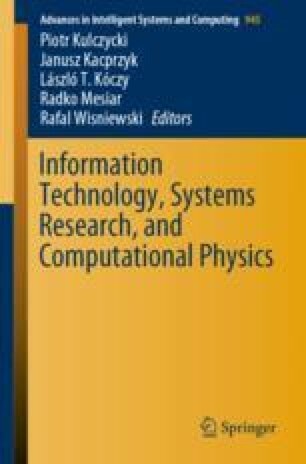 The GPUs used in this work were funded by the grant of the Dean of the Faculty of Electronics and Information Technology at Warsaw University of Technology (project II/2017/GD/1).